I grew up in a small town about 4 hours south of Chicago and 1 hour east of St Louis, MO in a town called Salem, IL. My first flight was from the local airport KSLO, known as Leckrone Airport. Leckrone Airport is named for Philip Leckrone who fought in the Royal Air Force Eagle Squadrons during World War2. Philip was born 1912 and raised in Salem to William and Lottie Leckrone. Phil also owned his own airplane in town. 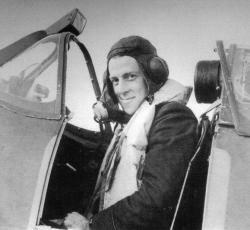 He traveled to Britian in 1940 and enlisted in the Royal Air Force and learned to fly the Spitfire. While serving No.71 Squadron he was killed during formation training with another 71 Squadron aircraft. Phil died at the age of 28 and is buried in Kirton in Lindsey Burial Ground, Lincolnshire. 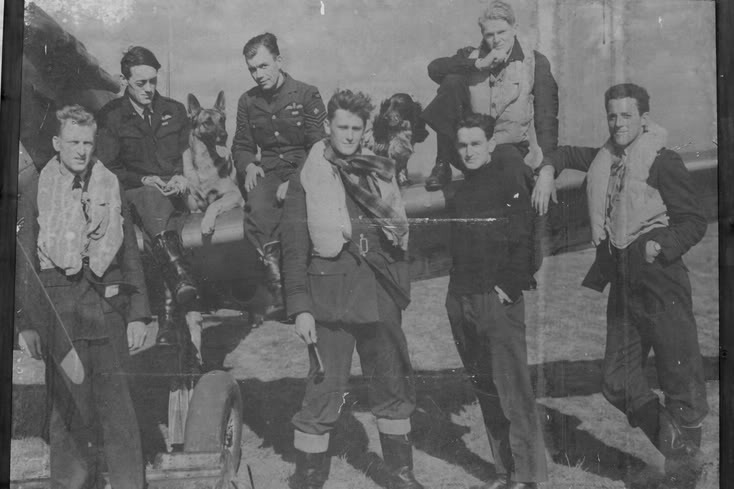 Phil Leckrone is pictured on the right side with some other members of 71 Squadron. There are still members of the Leckrone family in Salem and if you ever visit the airport, there’s a tribute to him in the passenger terminal. Every small town in this great nation holds some interesting history and this was the history in mine. Excellent post! It’s important that we remember those who gave their lives in the defense of our freedom. Just as “every small town in this great nation holds some interesting history”, those same small towns brought forth the men and women who fought and died for us. Thanks for reminding us all. A great post and a great story. He stepped up to help lonely old Britain and was given a Spitfire to do it with, from a grateful and embattled Nation that was on its back foot and facing the Nazis alone. A very special friend. I should have done this post a while ago. I had more information, including the serial number of both aircraft involved in the collision. Sometime last year, I received a picture of Leckrone’s headstone. I’ve spent months looking for it but have been unable to find. I think Philip – to be one of the 100 or so Americans flying for the RAF in 1940 – had to have been a free thinker – and took part at probably Britain’s most desperate time.